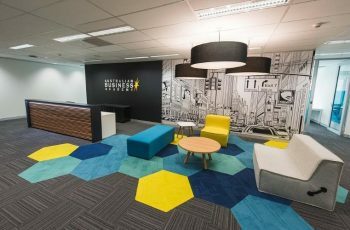 what should I ask a fit out company before committing to them? Accepting assurances on face value can be disastrous or it can be a timesaver and a lifesaver all at once. It depends on how much you trust your gut and how you provide said midsection with enough valuable information to make the right call. Despite their reputation for only dipping a toe in the deep waters of due diligence, gut instincts, when fed the right answers to important questions, can prove a reliable and ultimately profitable asset. So, the first question to ask would be, what are those important questions? Rather than simply providing a list of standalone questions you might like to throw at prospective partners on your commercial office fit out team, some context and perspective may prove useful. These days, websites are a relatively low-cost way of offering up online bona fides. They offer an easily digestible summation of who you are and what you do – which is important. The effectiveness with which they approach and deliver these vital messages may vary. Variations will be discernible within the text, the images and overall branding. Somewhere in there is the truth that will help inform your decision making – yes or no or maybe. 1) What exactly do you do for your clients? 2) Looking beyond the finished work shown on the website, what were you asked to achieve for your clients? 3) Why have clients selected your fit out company for their project over your competitors? 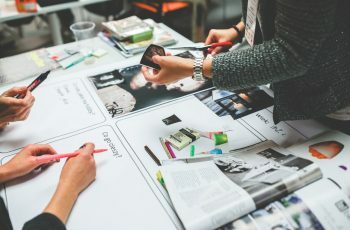 These questions will give you a deeper understanding of how well they might understand, interpret and execute your brief rather than basing next steps on the talents of a copywriter, photographer and/or a web designer. Best friends for how long? 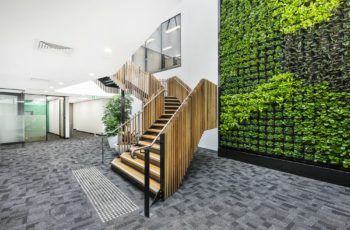 As mentioned many times before, both in our blogs and on other online forums, the construction phase of a commercial office fit out is only the tip of the iceberg.You are literally asking for structures and mechanics within a commercial building to be changed to suit your brand and way of working.You’re doing this while conforming to many and varied laws, rules and regulations.Understanding the weight and scop of this is vital.Vital to understanding that the planning and approval stage will take some time.Sometimes a lot of time.Think in terms of months not days. 4) Can you outline the approach to achieving the project goals? 5) How long do you think it takes from initial discussions, through to handover? 6) Why so long/how will it be done so quickly? 7) What guarantees can you offer that the work will be completed on time and in full? No two projects are identical. So, the timelines will vary from office to office. Nonetheless, the answers you are offered here will surely feed your gut some salient answers to digest – giving you an insight into methodology and due diligence. Taren Hura has written extensively on the need for interior designs to challenge the brief, not simply acquiesce to its strictures. 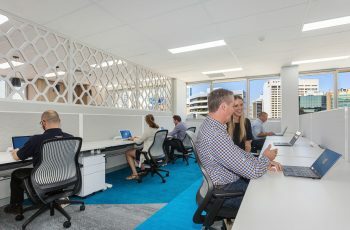 If you, the client, are not in the market for a commercial office fit out that allows your team to work in an environment that helps optimise efficiency and culture and creates a truly delightful workspace, you may be short changing yourself. 8) Is this the best that can be done to optimise this space and our way of working? 9) How many additional features and benefits have been included in the design that we (the client) hadn’t thought about? 10) Why can’t we have (insert your choice of features, fixtures and/or functionalities that caught your eye during the initial search phase)? There will be instances where very talented interior designers need to be given permission to think bigger, smaller or more innovatively to satisfactorily complete the brief. That’s fine but experienced teams will have their minds and hearts set on impressing the client, not merely satisfying them. These 10 questions do not constitute a comprehensive pre-appointment inquiry. In fact, they barely scratch the surface and are a poor substitute for an in depth, face-to-face discussion. But that’s not their purpose. This list does two things. It will help you, help fit out companies vying for your business to flesh out their offer and in so doing, offer you a valuable insight into who they really are, what they really do and why they really do it. Secondly, it will feed you the information that doesn’t appear on websites so that you can trust your gut and make the best decision for your company.